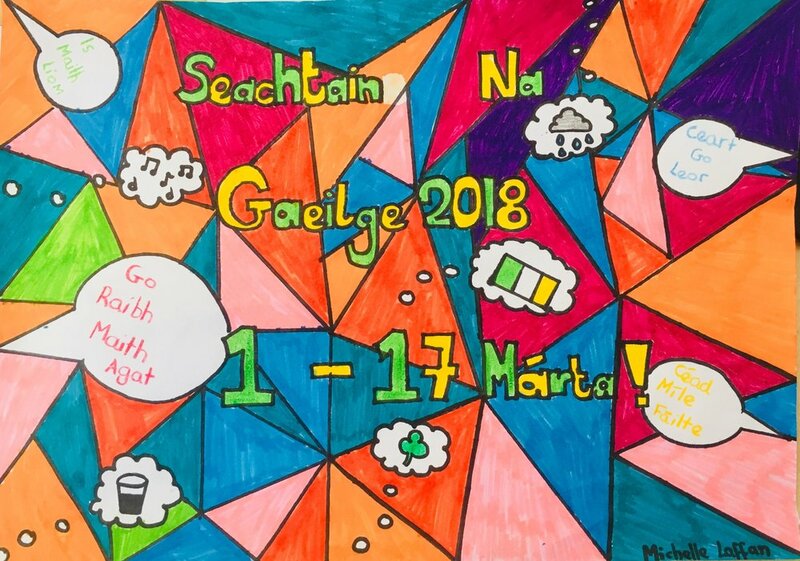 Mercy Ballymahon Active Week Poster Competition. To design a poster with an active slogan. Congratulations to our April Artists of the Week. A fine collection of artists are creating amazing artwork here in Mercy Secondary School Ballymahon. Louise Lynn 3rd year art student for her excellent acrylic painting depicting Paris in the impressionist style. Abaigh Smyth Curley 3rd year art student “Draw”. This striking Lino printing displays a clever pun on the word “draw”. Abaigh displays excellent lino cutting skills in striking red. Jason Slammon 3rd year art student. “Star Wars” Jason displays excellent shading skills using colouring pencils. Jason has excellent attention to detail and a great eye for colour. Molly Doyle 3rd year art student “Dogs”. This Preparatory Sheet for painting displays an excellent range of artwork using a variety of materials. Congratulations to our March Artists of the week. This month we are showcasing some of the talent from our Junior Certificate Projects. Cathy Kelly 3rd year art student with a fantastic oil pastel drawing of Skulltress. Cathy used vivid colours to create this excellent dramatic piece of art. Brona Cox 3rd year art student "The Next Chapter". Brona created a beautiful piece of artwork an interior of an apartment in NYC. Using colouring pencils felt tip pen & felt to create a fantastic piece of artwork. Well done! Bronwyn Lacy 3rd year art student for her beautiful Lino Print of The Sea. Bronwyn creates great mark-making techniques here in her excellent precise skills in Lino cutting. Kyle McConnon 3rd year art student for his fantastic drawing skills displayed in his artwork of a dinosaur. Created a brilliant painting in acrylics. Her artwork explores the idea of things that fly. Brona Cox 3rd year art student "The Next Chapter". Brona created a beautiful piece of artwork an interior of an apartment in NYC. Using colouring pencils felt tip pen & felt to create a fantastic piece of artwork. Congratulations to our 2017 December Artists of the Week who have displayed amazing painting skills. These paintings are now on display in the school corridors for all the school community to appreciate and enjoy. Sophie Hogan TY art student who created a fantastic vibrant Lion painting in acrylics. 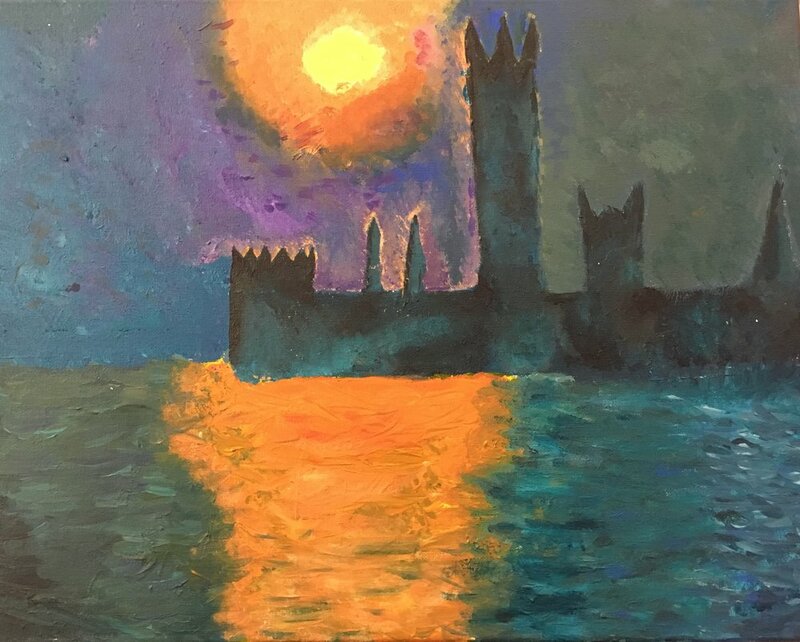 Aisling Gorman 2nd year art student recreated a painting Sunset in Venice 1908 by Impressionist artist Claude Monet. Aisling creates excellent tones with acrylic and her excellent blending technique creates a brilliant painting. 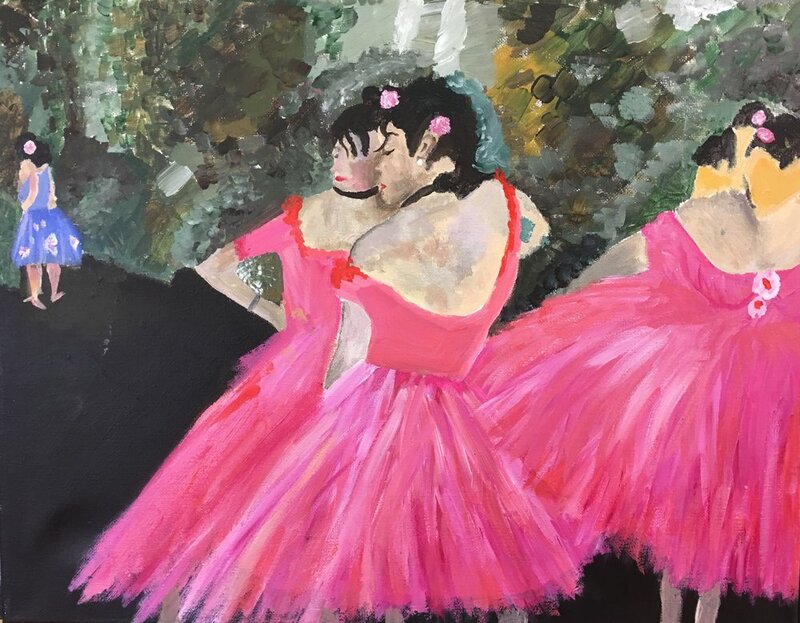 Aine Dalton 2nd year art student recreated the famous painting Dancers in Pink 1885 by Impressionist artist Edgar Degas. Aine has excellent painting skills using acrylic, her delicate use of paint creates excellent detail in the pink dresses. 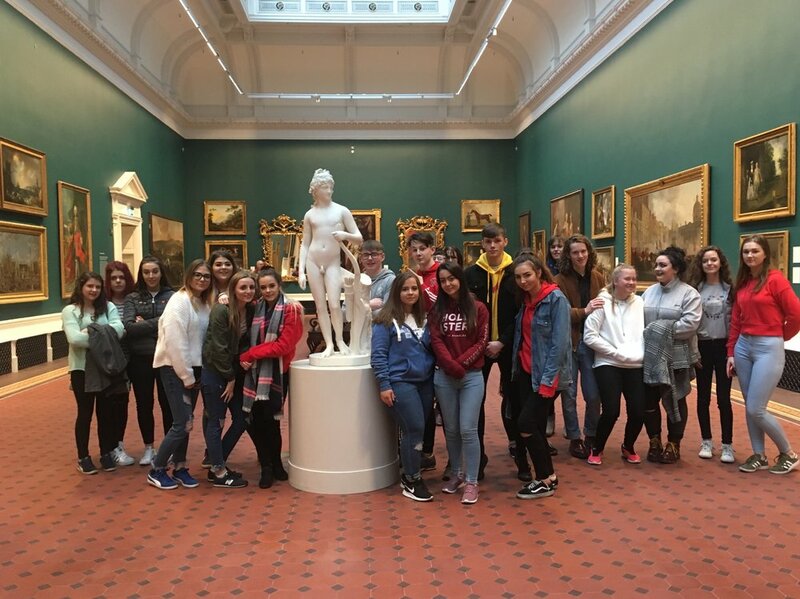 Tuesday 19th December 2017 5th & 6th year art students went on a cultural trip to Dublin to visit the newly refurbished National Gallery of Ireland and The National Museum. The Gallery is located in the heart of Georgian Dublin, on Merrion Square beside the Parliament (Dáil Éireann) and adjacent to the National Museum. In the NGI students enjoyed viewing artworks by renowned artists such as Carravaggio, Monet, Picasso, Morisot and Joseph Walsh. We then enjoyed viewing artefacts such as the Tara brooch, the Cross of Cong and the preserved Bog bodies in The National Museum. A thoroughly enjoyable day for all. Well done and congratulations to our creative students who are the October artists of the week 2017. Katie Farrell 2nd year student for her expressive painting techniques used to paint the impressionist painting Water Lilly Pond by Claude Monet 1900. Well done Katie! Karl McInerney 1st year art student for his detailed drawing using felt tip pen & colouring pencils to create an outstanding image. The talented artists sketch won the School Walk Poster Competition 2017 which was then used for the school walk sponsorship card. A fine piece of artwork well done Karl! Grainne Donoghue 2nd year art student for her fantastic use of paint. Grainne's use of the impasto technique achieved with acrylic paint to recreate Impression Sunrise by Claude Monet 1872. Well done Grainne! Patrick Conlon, Mark Mealia, Sean Mulledy Ty art students for their striking string art technique used to create two fantastic boards displaying Ireland and Australia. This was the first time these students tried art & we think they did a great job. Well done lads! 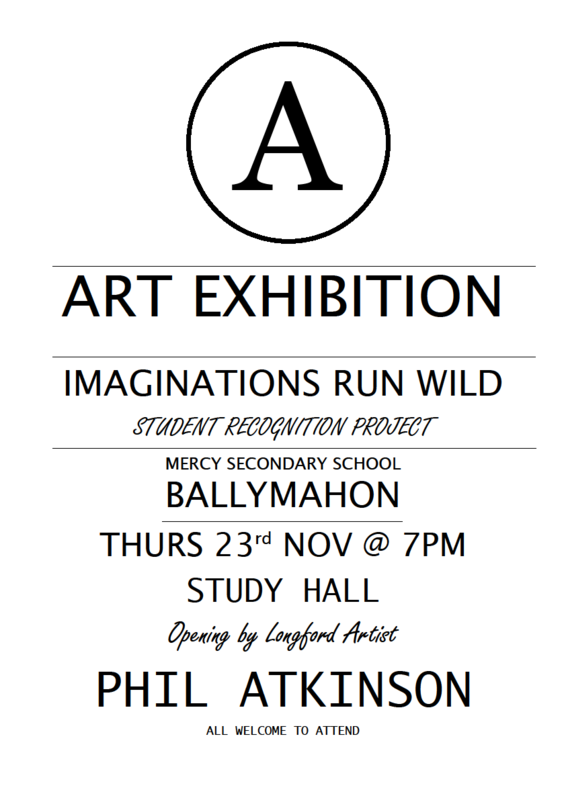 5th year art students are organising an art exhibition for November 23rd. All students are asked to submit work for November 16th. 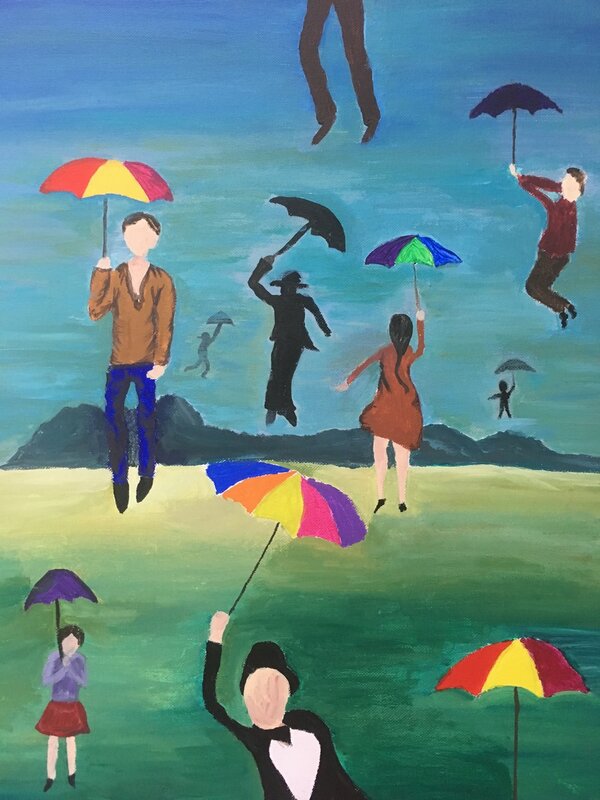 Welcome back to Mercy Ballymahon Artist of The Week Initiative for the academic year 2017/18. The Artist of the week spot showcases the students work and salutes them for their artistic achievement. September has seen some amazing talent within the school, congratulations to our creative students who are the September artists of the week 2017. Aidan O' Ceallagh a 5th year student for his vibrant reproduction of The Cubist Painting Houses at L'Estaque by George Braques. Aidan created this with colouring crayons in great detail. Well done Aidan! 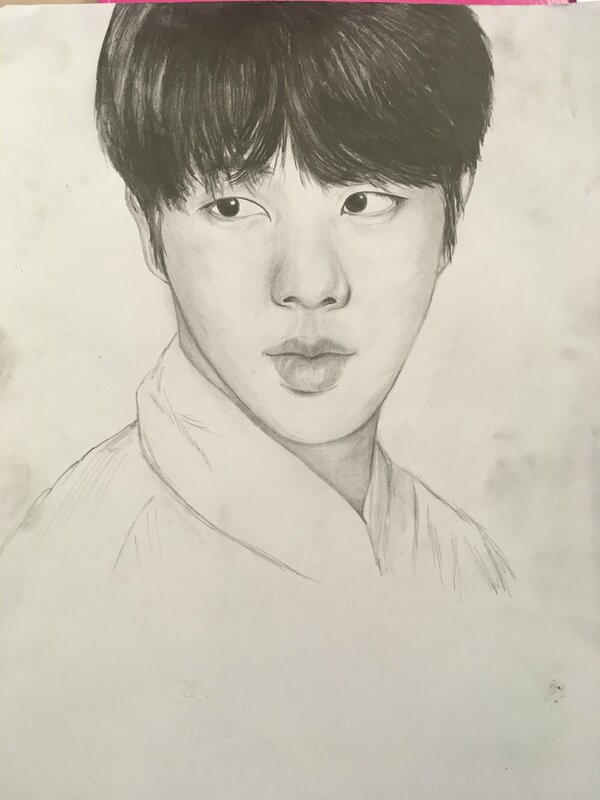 Chloe Freeman, 5th year art student who created this technically brilliant portrait drawing in pencil. Chloe's use of pencil to create the figure is excellent, using tones and detail to create a beautiful piece of art. Luke Mulvihill 3rd year art student for his excellent object drawing of an apple created on pencil. Conor Gibson 5th year art student for his excellent portrait painting using acrylics. His loose brush strokes and application of paint is excellent. On Thursday 27th September 2017 a group of 5th and TY art students enjoyed a visit to 'Memory has a pulse' an art exhibition displaying the works of Thomas Brezing, Sean Cotter and Gary Robinson in Longford town. Congratulations to our creative art students who are the May 2017 winners of Artist of the Week. Kate Courtney 5th year art student for her detailed imaginary composition drawn with black ball point pen. This creative drawing is based on the theme reflections. Stacey Kearns 2nd year art student for her amazing still life of a Rams skull using pen, pencil and watercolours. Aoibhe Doherty 1st year art student for her vibrant painting of Pablo Picasso's "Woman with flower 1932"
Emmalee Morgan 2nd year art student for her fine detail in her still life drawing of an apple. Emmalee uses colouring pencils, pencil and pen to create this image. Congratulations to 5th year art student Kate Courtney who will be participating in Cruthú Arts Festival Longford (July 27th - 30th 2017) Square Eyes, a student artist street mural project. The street art is trained by renowned mural artist Phil Atkinson. Kate will get the opportunity to create large murals with Phil, the finished artwork will then be toured around participating schools in the 2017 academic term. The artwork will eventually be mounted in prominent public spaces in Longford. Well done to 2nd year art students who created 3D lettering from recyclable materials found in the school with their art teacher Miss Bruton. The lettering will be displayed in the school corridor to promote green schools. 2nd year art students with green schools co ordinator Miss McTiernan.